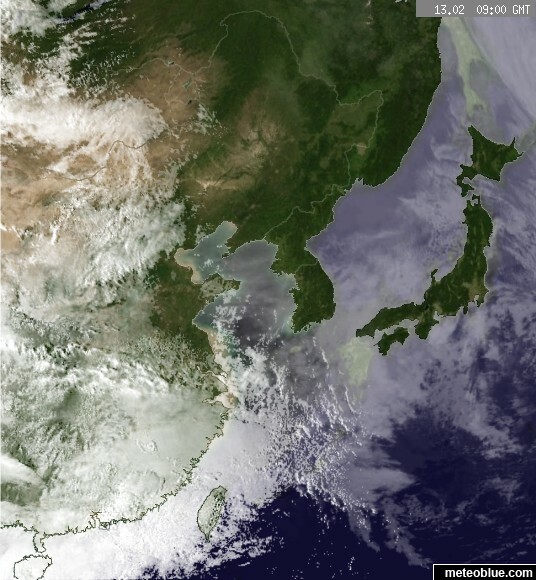 The satellite maps show the distribution of the clouds. The maps show most of the clouds, but some smaller clouds, fog, clouds during the night and aerosols are possibly not displayed every time. Sometimes, snow covered areas may be displayed as clouds. The meteoblue point forecasts evaluate these possible mistakes in the satellite maps and can be used for more detailed information of the cloudcover.